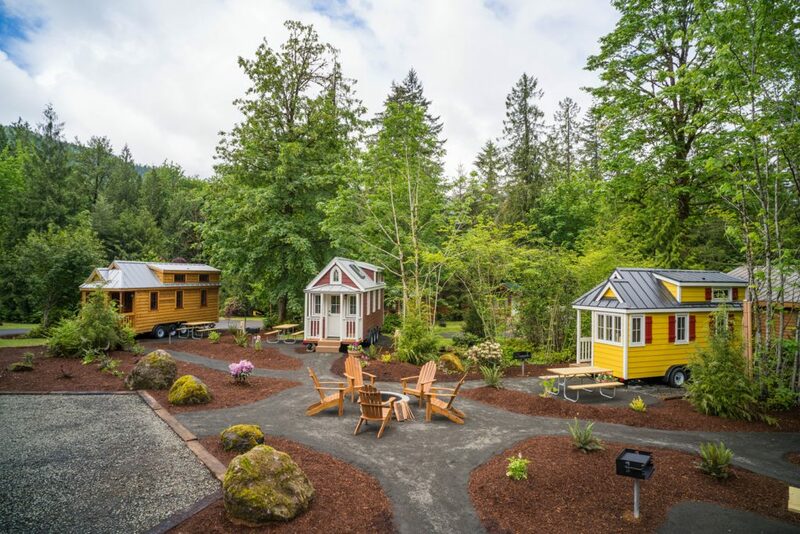 Glamping is all about the atmosphere and accommodations. 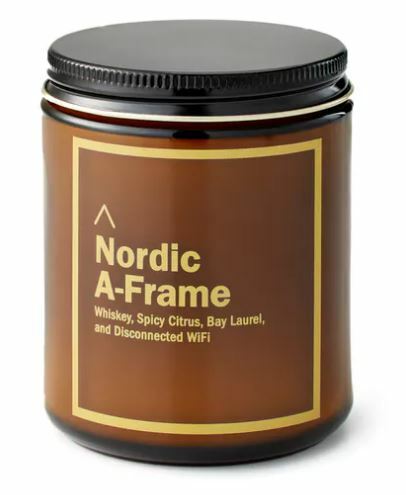 Check out some of our favorite items to add to a more glamorous camping experience! 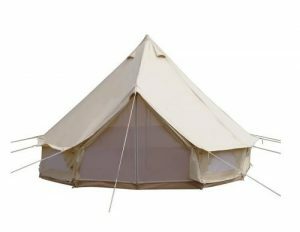 With a bell-shaped canvas tent like this one, you’ll be on your way to glamping in no time. 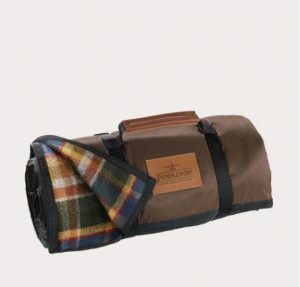 The canvas is waterproof too, so you’ll stay dry and comfortable. 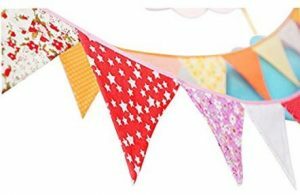 Add cute and colorful decor to your space by hanging fabric bunting in the doorway of your tent or from the porch of your cabin to give a pop of cheer to your camping space. These fairy lights add a whimsical element to your campsite and are made with a flexible wire so you can hang them up and around wherever you want a bit of extra light. 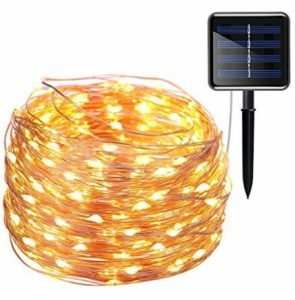 Find a set of lights that are battery powered or opt for solar powered, like these! 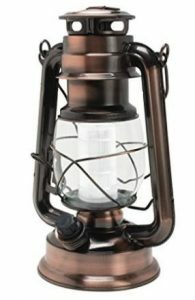 Light up your campsite with a vintage feel with these vintage-style lanterns. 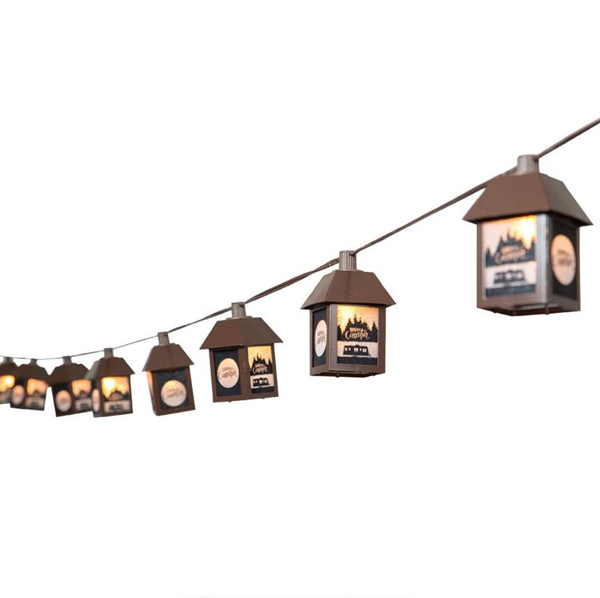 They may look like classic lanterns, but the LED lights are 21st century and have handles that allow you to hang them wherever you please. 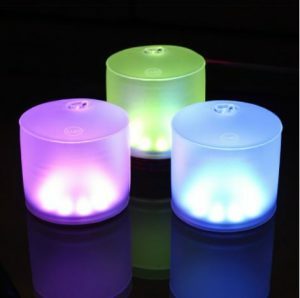 Take your camp lighting to the next level when you add a colorful soft light to the inside of your tent, cabin, or yurt. 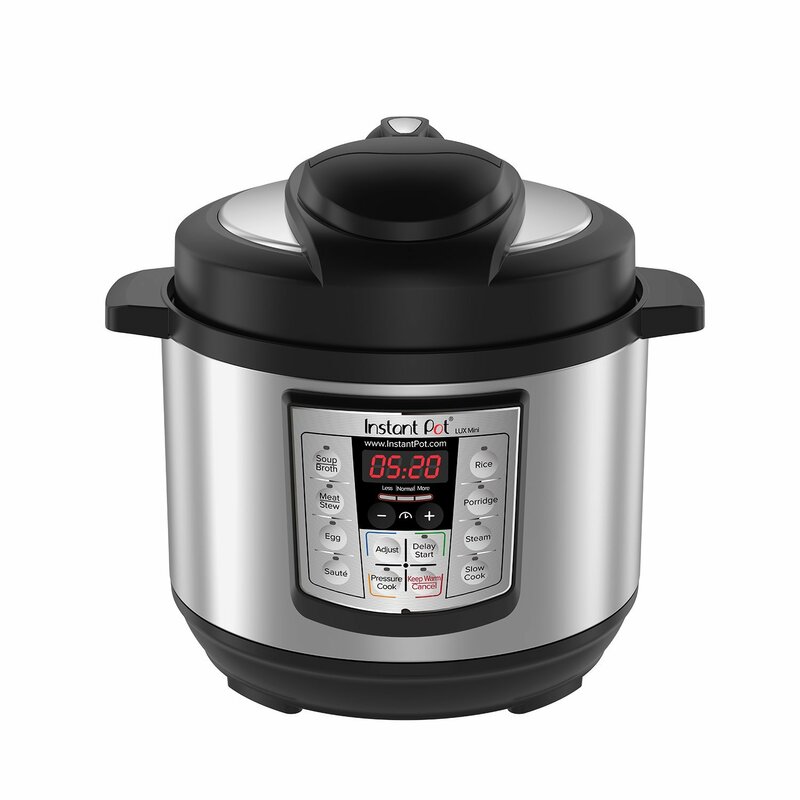 These battery powered ones give off a soft illumination and last for about 8 hours. 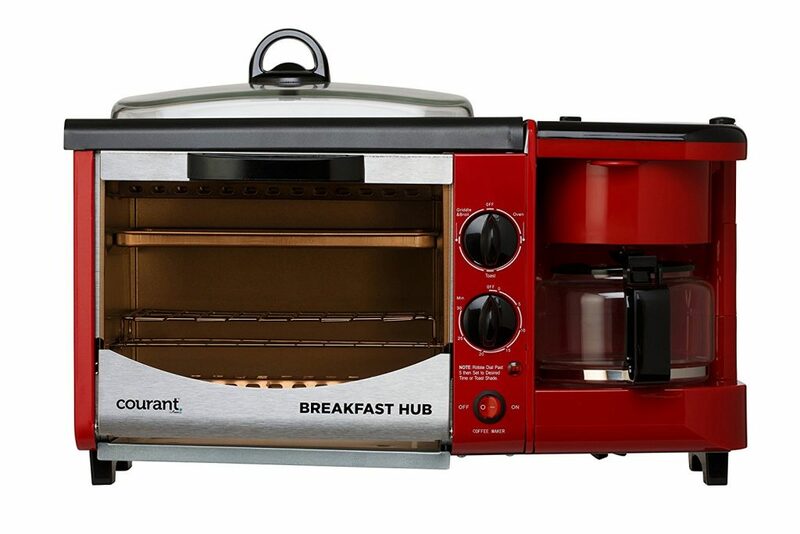 Don’t sacrifice your gourmet meals and stellar place settings with these glamorous campsite kitchen must-haves. 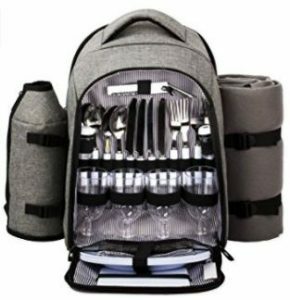 Take your campsite barbecue to the next level with a cutlery backpack. 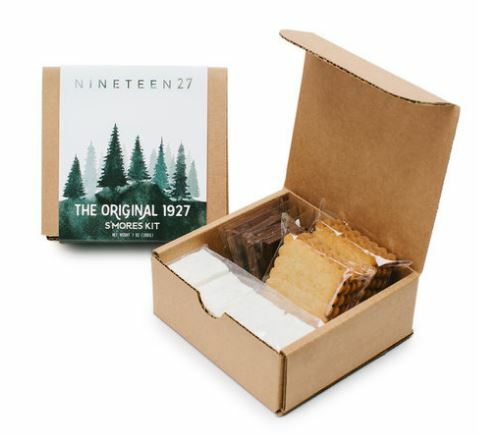 Neatly packed, this pack is stocked with everything you need to set up a gourmet meal anywhere you like! 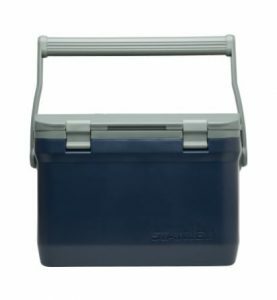 You’ve committed to the cuteness of glamping, but sometimes, you just need something that is sleek and functional to keep your food cold and the pests out. 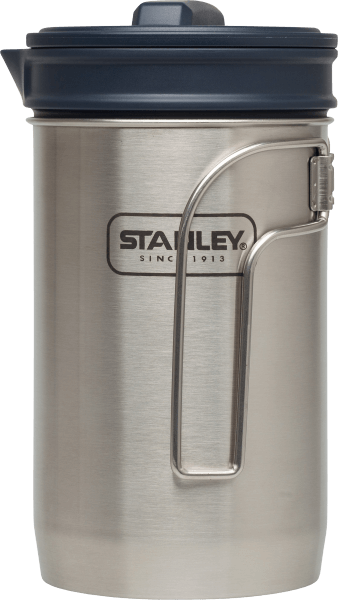 This cooler from Stanley has a sleek style, is easy to carry, and will keep ice frozen for 36 hours! Pretty cool. 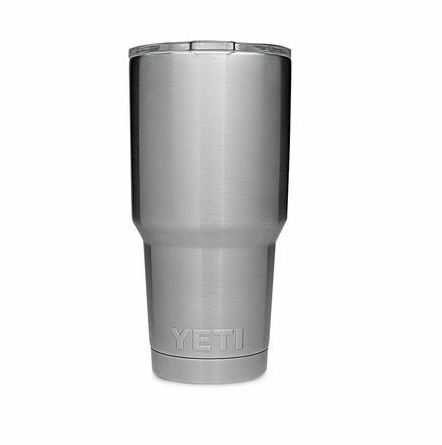 Enamel mugs are great for camping because they are lightweight and durable – perfect for roughing it in the woods. 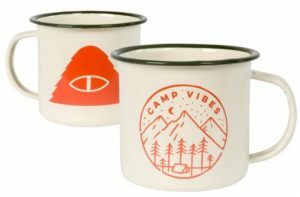 But grab an enamel mug with a cute design and bold colors and you’ll elevate your glamping vibes. 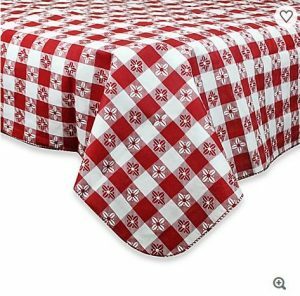 Pop this durable tablecloth on your picnic table and instantly elevate your barbecue! Set up the plates and silverware from your cutlery backpack and you’ve got a gourmet table setting at your glampsite. This cutting board does triple duty! 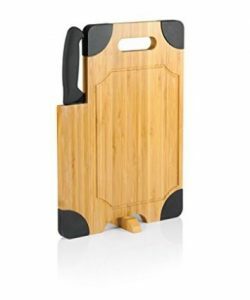 With its own knife and fine wood, this cutting board also works as a platter to present your meats and cheeses. 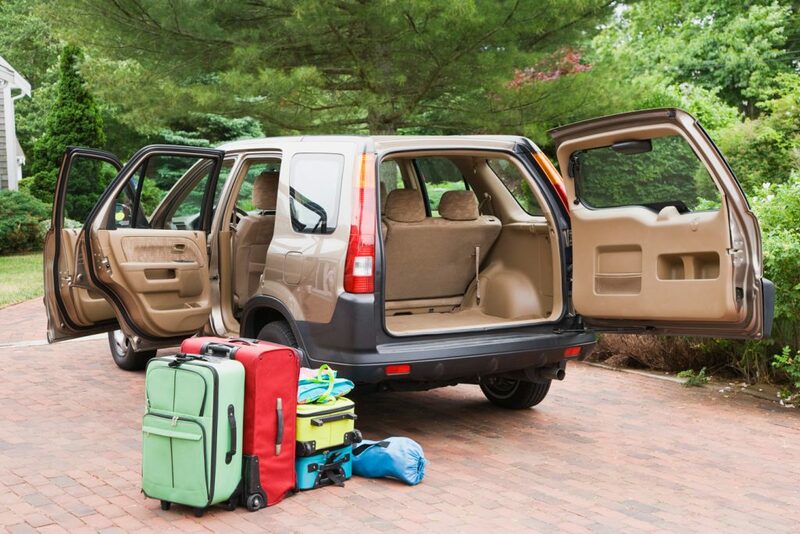 Cut down on clutter and plastic when you bring along a multi-use utensil set that has its own carrying case. 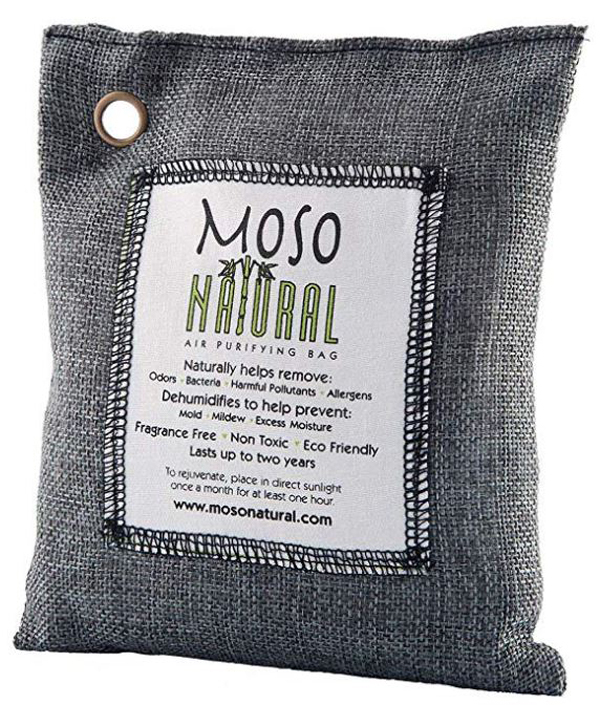 Easy to pack, easy to clean, and easy to use! 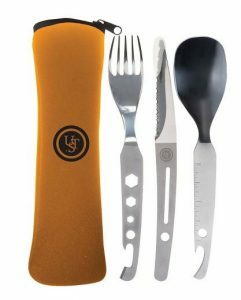 Each utensil has additional functions like a can opener hook on the end of the fork and a measuring tool on the handle of the spoon. 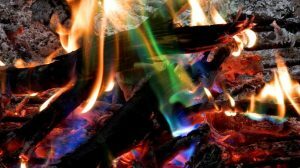 Turn up the volume on your typical campfire by adding these special color packets to the fire. Just remember to save this party for after you roast your marshmallows! 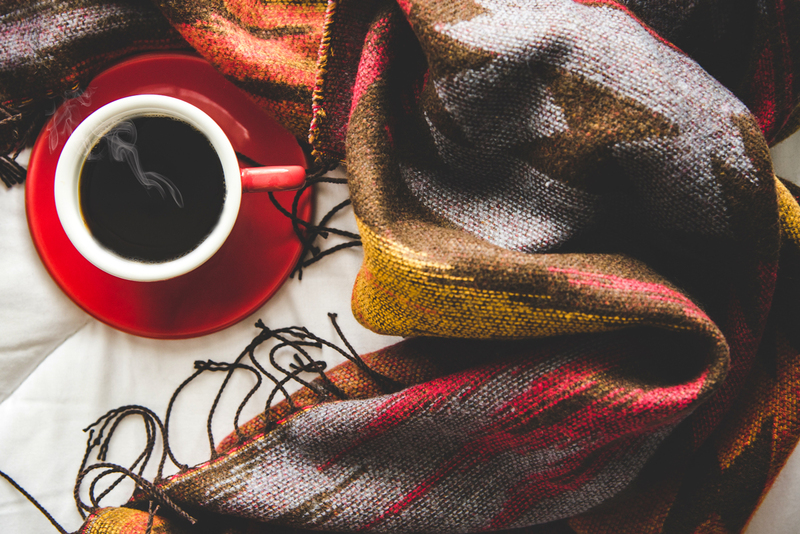 Keep warm in style when you bring along a patterned blanket. 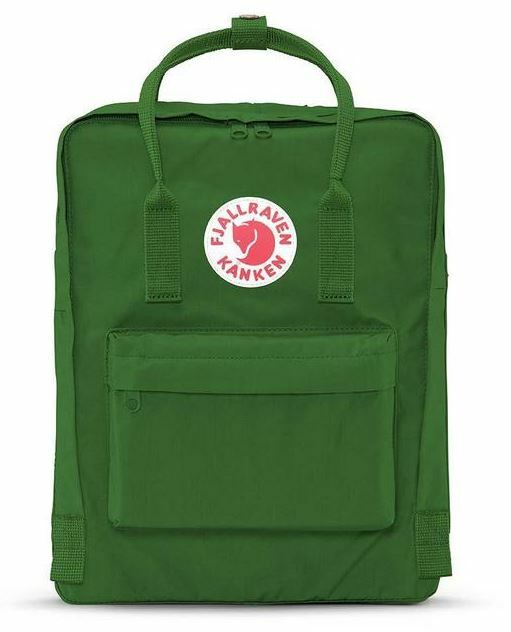 This one is extra functional and features a waterproof side plus straps and handle for easy carrying. 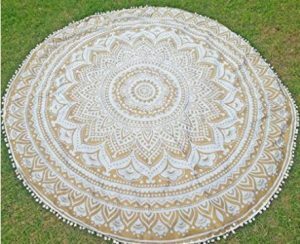 A lightweight rug or tapestry can create a cozy atmosphere when hung above your head or laid on the ground to give your feet something soft to step on. A tapestry infuses your glamping site with some of your own personality and a pop of color. 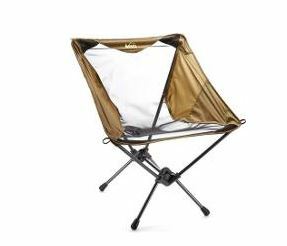 These fold up chairs are lightweight and give off the glamping vibes with their gold color and sleek design. If you love a good portable hammock for lounging with a book at your campsite but don’t like the feel of a standard nylon hammock, opt for a contemporary style that has some bohemian character to it, like this one that has a lovely fringe and inviting camel color. 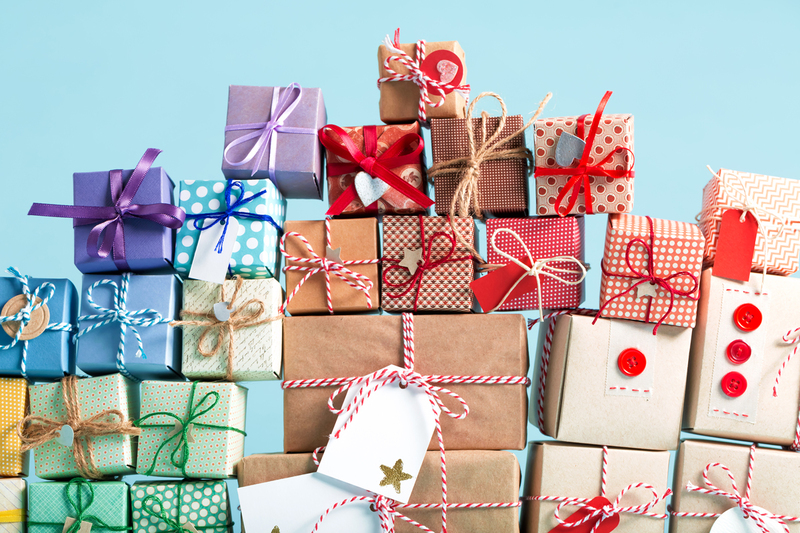 What are your favorite ways to give your campsite something extra? Share your style tips with us in the comments!